Established in 1958, Norman Jarvis & Son Limited is a family owned business providing a range of electrical services across the Hull area. We are based in Hessle and can work with domestic, commercial and industrial clients. All of our engineers are fully qualified and IPAF trained, ensuring that you receive the highest standard of services at all times. 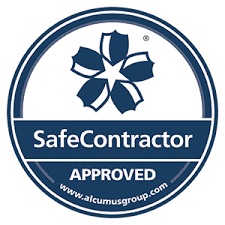 Furthermore, our company is an NICEIC approved contractor and are part of the Domestic Installer Scheme. If you would like more details about our electrical contractors, feel free to give us a call today on 01482 640311. With years of experience within the industry, at Norman Jarvis & Son Limited we provide an excellent level of customer service for our clients. Our electrical contractors can complete both smaller and larger types of work. We are available to provide repairs, installations or isolate issues to prevent them from causing any further problems. As well as providing services in Hessle and Hull, we are also more than willing to travel into East Yorkshire and North Lincolnshire. For more details about the work our electrical contractors provide, please do not hesitate to get in contact with us. You can give us a call on 01482 640311 or 07831 248 758. Alternatively, feel free to fill in our contact form and we will be back in touch as soon as we can.